You are reading the first edition of "Kevin's M2M News Weekly." This is an online newsletter that is made up of the most interesting news and articles related to M2M (machine to machine) and embedded mobile devices that I run across each week. I aggregate the information, include the original links and add a synopsis of each article. I also search for the latest market numbers such as market size, growth and trends in and around the M2M market. I believe that enterprise mobility and the M2M markets are converging. Both areas exchange wireless data with the enterprise. Both play important roles in enterprise asset management, fleet management and field services. Please send me any interesting M2M news links, market numbers, events, case studies, analyst reports or whitepapers that you come across and I will include in my newsletter. Enjoy! ABI Research forecasts that Wi-Fi-enabled health care products will hit sales of nearly $5 billion globally in 2014, up 70% from 2009. The increase is expected partly because of the need to provide wireless networks to support improved asset management, mobile workers, standard administration of medications and digitized records, said Stan Schatt, an ABI analyst. If you are interested in the M2M or embedded mobile devices market for consumer electronics, you may want to watch this short video on the consumer electronics segment of M2M. Vodafone’s machine-to-machine business has taken 40 percent of the market since it launched the M2M division last year, it said last week. TMC and Crossfire Media announced that their M2M Evolution Conference will once again be collocated with TMC's ITExpo, October 4-6, at the Los Angeles Convention Center. In emerging markets, “device” was almost synonymous with “smartphone,” while in mature markets the “device” focus went beyond smartphones and into other devices, such as machine-to-machine readers, netbooks, e-readers and tablets. A new M2M analyst report is available on the Maximizing Wireless Profits website. M2M is a very intriguing market. It is closely related to enterprise mobility in that mobile devices (embedded mobile devices, remote sensors and monitors) are collecting and sending data back to a central server. The audiences for this report are mobile network operators (MNOs), M2M and mobile enterprise software companies. Gemalto is looking to insert SIM cards into mobile devices. Today the identity module–maker announced it is purchasing Cinterion Wireless, the world’s largest manufacturer of GSM machine-to-machine wireless communications modules. The combination will put under a single umbrella the two technologies necessary to make an M2M solution work: the radio module that physically connects a device to the network and the authentication and security software that allows it to transmit. M2M, or machine-to-machine communication, is fast becoming a market-changing force for a wide spectrum of entrepreneurial businesses. Since launching its Emerging Solutions Group in October 2009, Sprint has worked with solutions partners to help a growing number of businesses serve customers -- and in some cases outflank their competitors -- with M2M innovation. Machine-to-machine communications is emerging as an important growth area in wireless, but there's a battle underway over which network is best suited to accommodate the expected onslaught of connected devices. 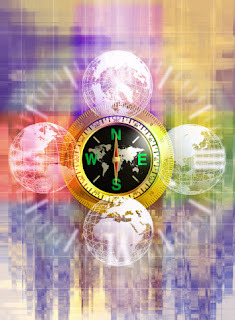 Now that SAP has enterprise mobility all figured out, it is time to explore opportunities in the M2M marketplace. M2M is a vision of connecting physical things through a network that will let them take an active part in exchanging information about themselves and their surroundings over the Internet. Over the next five years the market for wearable wireless sensors is set to grow to more than 400 million devices by 2014. Demand will come from the professional healthcare, home healthcare and sports and fitness markets, but these markets will develop at different speeds and will support different applications. The sports and fitness market represents more than 90 percent of the market today. 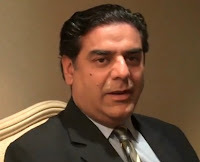 Sprint plans to open up a center to help foster the development of embedded mobile devices using a cellular connection later this year, according to a company executive. As the traditional business of providing cellphone voice and data services begins to peak, carriers are racing to stake a claim in a new area commonly known as connected devices. Sprint, which moved early in the area and pioneered a wholesale business model with Amazon’s Kindle, has since fallen behind its larger peers Verizon Wireless and AT&T. At Sapphire 2010, not only did SAP discuss their intent to acquire Sybase, but they also announced Project Gateway. Project Gateway is an API layer (gateway) that is designed for simple mobile applications and M2M (machine to machine) integrations with SAP. The intent as I understand it is for SUP (Sybase Unwired Platform) to be the integration layer for complex mobile applications (rich/thick clients) that require advanced synchronization technologies, and Project Gateway for lightweight iPhone, BlackBerry, Android and other micro applications. SAP's strategy for integrating advanced rich or thick client mobile applications will be SUP. SAP's strategy for integrating lightweight mobile applications will be Project Gateway. SAP also certifies a variety of integration strategies specific to various mobility partners. SAP mobility partners that have invested heavily into their own integration and mobile middleware technologies must now consider supporting multiple integration strategies - their own and SAP's. This may increase their development and support costs but flexibility nearly always does. Mobile enterprise application vendors often support many ERPs and business applications. Their current inventory of mobile middleware and integration tools may continue to be needed in these non-SAP environments. It seems it will be up to the end customer to choose their favorite flavor of integration and middleware. This will be an important decision for the end customer that will impact TCO (total cost of ownership). Some of the SAP mobility partners have already decided to consolidate all of their middleware needs on the SUP. They don't want the expense of developing and supporting two different integration and middleware technology platforms and like the idea of leaving middleware issues to someone else. If more vendors follow this move, Sybase will generate more sales and profits as a result of this trend. SAP has said they intend to operate Sybase as an independent business unit and I believe SAP can generate "new money" as a result of influencing vendors to adopt SUP. *Read the latest news and market numbers on enterprise mobility at Mobility News Weekly. *Join the Linkedin Group, SAP Enterprise Mobility, it has over 750 members now. Oh no! An iPhone that tells you how to drive. That's all I need. The application is called DriveGain and it gives a range of visual and audio feedback on what changes are required by the driver to burn less fuel. I wonder if it uses my father's voice? It works with any petrol or diesel car with a manual transmission and features a database of over 8,400 European and 8,500 North American cars to choose from. Verbal instructions given by the iPhone app range from general advice such as “try reducing your acceleration!!!! !”, to specific gear changes. While on the visual side, DriveGain provides more detailed information including current speed, level of acceleration or braking and the affect this has on fuel consumption, a smoothness score, average fuel economy reading and other eco-related statistics. I wonder how much sarcasm is built into the app? Is this supposed to make my driving experience more pleasurable? "Turn left, SLOW DOWN, not third gear stupid, BRAKE NOW, do you know how much you are spending on fuel at this speed, recalcuating directions, stop hitting me." It has been about six weeks since Sapphire, and it is about time I consolidate and share my thoughts on what I learned. I tracked down and interviewed (text interviews | video interviews) just about every management team of every mobile enterprise company that was present at Sapphire - with the notable exception of ClickSoftware, which is an SAP mobility partner and the leading provider of automated workforce management and optimization solutions for every size of service business. I will catch them next time. SAP's announced intent to acquire Sybase in the weeks before Sapphire forced all the mobile enterprise application vendors to quickly consider the impact on their strategies, solutions and marketing messages. There was a bit of "testing the waters" with various marketing messages at Sapphire. I think most of them were able to come up with an adequate marketing message. The messages were uniformly, "We understand why SAP did it, and we plan to support the SUP (Sybase Unwired Platform) in the near future. It will not be a problem for us. It will give our customers more options and let us continue to focus on the business processes and mobile applications where customers get the most value." I think some of the mobile enterprise vendors believed their messages more than others. I think once Sapphire was over, a number of the companies went back to the whiteboard to really understand their next steps and role in the world. Read the latest news and market numbers on enterprise mobility at Mobility News Weekly. Join the Linkedin Group, SAP Enterprise Mobility is has over 750 members now. SAP has a section of their SDN/SCN portal for enterprise mobility. On this site they have a diagram depicting an end-to-end mobile solution. This diagram does a good job of causing fear in just about everyone. The diagram shows a deep stack of technology components, each with their own complex technical design and functionality. I can just imagine an enterprise IT team gasping in distress at this diagram. However, understanding how everything in your car works is not necessary in order to drive it. Let me give you an example. ClickSoftware is an SAP mobility partner and the developer of a host of workforce automation and service chain optimization applications. They have already mobilized field services applications and implemented them with SAP. It is now available out-of-the-box. The complexity of the implementation has largely been removed. If the backend business application and database is a known entity, and is already mobilized, then implementing mobile enterprise applications can be fairly simple for the end user. SAP partners like ClickSoftware have already managed the complexity and developed applications for end users that are already integrated with SAP. SAP's acquisition of Sybase and SAP's announced Project Gateway (an API layer for simple mobile applications) will make integrating with SAP even easier. SAP's strategy for supporting mobile applications is clearer and vendors can focus on it. Complexity in enterprise mobility is directly related to flexibility. The more flexible the application the more complex. If the developer must design and program an application to support an infinite number of different backend databases and business processes, then the solution code can be enormously complex. If the backend business application and business processes are known in advance, and the integration strategy defined, then much of the complexity and risk can be removed. The bottomline, there is a good reason to work with SAP mobility partners that are experienced and support specific business processes of interest to you. You will have removed much of the complexity and risk from the project. Look for mobility vendors that are SAP certified and have SAP customers in production environments using the business processes you want mobilized. If you would like to discuss enterprise mobility in more depth, and/or your specific project please contact me. If you are interested in news about the mobile industry read - Kevin's Mobility News Weekly. This is a weekly update of the most interesting industry numbers, news and developments. I am very interested in mobile enterprise applications that deliver collaboration and knowledge management functionality. I believe these solutions will revolutionize businesses that use them. I saw three of these applications at Sapphire this year that I describe later in this article. Collective intelligence is the notion that what determines the inventiveness and rate of cultural progress or change in a population is the amount of interaction between individuals. The sophistication of the modern world lies not in individual intelligence or imagination, rather, it is a collective enterprise. Exchange stimulated innovation by bringing together different ideas. Exchange and collective intelligence is the key to human progress. Once human beings started swapping things and thoughts they stumbled upon divisions of labor, in which specialization led to mutually beneficial collective knowledge. Specialization encourages and promotes innovation. The process of cumulative innovation that has doubled life span, cut child mortality by three-quarters and multiplied per capita income nine-fold-world-wide in little more that a century is driven by the exchange of ideas. Mr. Ridley believes that the interactive nature of the internet, rather than dumbing down people, will in fact lead to an explosion of new ideas and inventions! Online collaboration and the sharing of idea through blogs, tweets, online forums and discussion groups lead to an increase in knowledge. I believe the three mobile applications that I saw at Sapphire will do just that. SAP's Streamworks - SAP StreamWork brings together people inside or outside your organization with information for fact-based decision-making and interactive business tools for collecting feedback, strategizing, and brainstorming. Open Text Everywhere - As the enterprise moves away from a fixed and location-centric work setting to a dispersed mobile world; the ability to interconnect people, the processes and the core content regardless of where and when becomes a necessity and a competitive differentiator. For more details on these applications you can watch a short video from Kevin's Video Comments - Kevin on mobile collaboration and knowledge management applications. You are reading the second edition of "Kevin's Mobility News Weekly." This is an online newsletter that is made up of the most interesting news and articles related to enterprise mobility that I run across each week. I aggregate the information, include the original links and add a synopsis of each article. I also search for the latest market numbers such as market size, growth and trends in and around enterprise mobility. Please send me any interesting mobility news links, market numbers, events, case studies, analyst reports or whitepapers you think I should include in my newsletter. Enjoy! A recent analysis from Frost & Sullivan, finds that the new mobile office market earned revenues of roughly $1.7 billion in 2009. This is predicted to reach $6.8 billion in 2015. Internet advertising will join television in 2014 as the only media with spending in excess of $100 billion. Internet access is a key driver of spending in most segments. Increased broadband penetration will boost wired access while growing smartphone penetration and wireless network upgrades will drive mobile access. Spending on wired and mobile Internet access will rise from $228 billion in 2009 to $351 billion in 2014. Globally, the online and wireless video game market will grow from $52.5 billion in 2009 to $86.8 billion in 2014, a compound growth rate of 10.6%. This will make it the second fastest-growing segment of E&M behind wired/mobile Internet advertising, yet ahead of TV subscriptions and license fees. Sprint-Nextel reports they may open a center in the San Francisco area to foster the development of the M2M ecosystem. Meanwhile, AT&T recently reported that it had 5.8 million M2M connected devices on its network and added 1.1 million in the first quarter. Verizon said that it has 7.3 million M2M connected devices on its network. Sprint hasn't disclosed specific connected device numbers, but Bowman estimated that the company has "a couple million" devices on its network. BlackBerry App World launched in April 2009. A year later RIM said the store offers about 6,000 applications, far behind rivals like Apple's iTunes App store, which now boasts about 225,000 apps for iPhone and iPod touch devices. 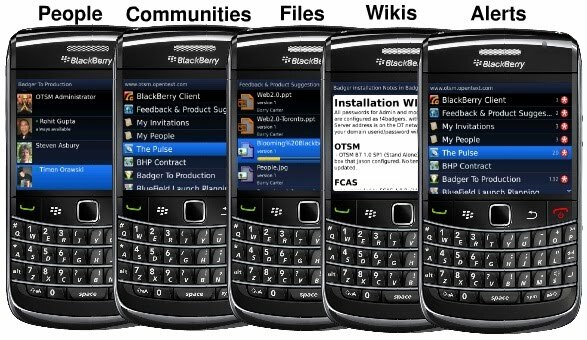 BlackBerry App World currently has roughly 25 million active users, with nearly 1 million app downloads per day, according to RIM. Mobile ad network Millennial Media is reporting that iPad ad requests grew 160 percent from April to May. RIM’s BlackBerry remained the second largest OS on Millennial’s network for the tenth consecutive month. Android’s share rose by 5 percent to a 15 percent share of impressions for the month of May. In this 4 minute YouTube video from this week’s Video Comments, I discuss the value of mobile micro apps for businesses. Analytics firm Distimo reported that 80 percent of all iPad applications fall into the Paid Apps segment. By comparison, 73 percent of iPhone and iPod touch applications carry premium price tags, while the average iPad app costs $4.67, as opposed to $3.82 on iPhone. Medical apps for iPad lead the way at an average price of $42.11, followed by Finance apps at $18.48; on the iPhone, Medical apps average $10.74, and Finance apps average $5.74. With the iPad, Apple has laid down yet another challenge to the wireless industry's incumbents. The book-sized gizmo, now past 2 million shipments in just two months, represents a new device category for consumers, a chance for additional data revenues for carriers and a slap in the face to handset makers already struggling to stanch the rise of the iPhone. The Global Mobile Applications Market (2010 – 2015) report published by Markets and Markets reveals that around 7 billion free and paid applications were downloaded in 2009 alone from native as well as third party stores. The downloaded applications were responsible for generating revenues worth $3.9 billion in the same year. Unsurprisingly, Apple dominated the market with 4 billion downloads to date grabbing 90% of the application market share in 2009. New players in the industry are fast catching up and with super growth in smartphones, the mobile application market is likely to expand exponentially. Estimates by the same firm reveal that the global mobile application market is likely to reach $24.4 billion in 2015 growing at 64 percent CAGR. In this video on YouTube I discuss mobile collaboration and knowledge management applications for businesses. Smartphone market estimates are increasing, and growth in the hand held industry should grow at approximately 45% in 2010 and 31% in 2011. RIM should maintain a global share of 20% in 2010 and 2011. Munster is raising his estimate for iPads for 2010 and 2011. He originally estimated that Apple would sell 6.2 million iPads in 2010 and 8.2 million in 2011, giving Apple 14.4 million iPads by 2012. Munster now says Apple will sell 7.5 million in 2010 and 9 million in 2011 for a total of 16.5 million iPads by 2012. According to Millennial Media, 90 percent of U.S. developers are focusing their efforts solely on one mobile platform, with just 10 percent pursuing multi-platform strategies. Among developers dedicated to a single platform, 56 percent are focusing on iPhone and 29 percent are targeting Android. Just 5 percent are building for Symbian, with 4 percent working on BlackBerry--the remaining 6 percent of developers are focused on "Other" platforms, and it speaks volumes about the sorry state of both Windows Mobile and webOS that the report doesn't even break them out into their own separate pie-chart slices. Machine to machine or embedded mobile devices and applications are an area of wireless data usage with a projected compound annual growth rate (CAGR) of over 25% per year through 2014 and a projected need for up to 50 billion M2M devices by 2025. IBM announced new mobile software, services and research projects at the opening of their new software development lab in Massachusetts. Mail Triage, a research prototype was shown as an iPhone application that can help workers inundated with e-mails more quickly assess which ones need immediate action and which can be deleted or handled later. 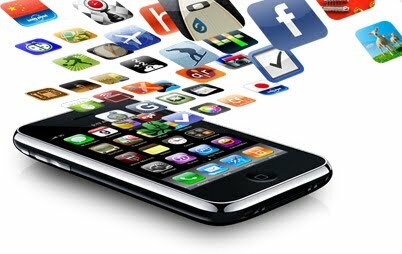 Piper Jaffray reports that free apps account for about 4 billion total App Store downloads or 81% of all downloads. iPhone, iPod touch and iPad users presently download over 16.6 million applications each day, almost double the 8.9 million daily downloads via Apple's iTunes multimedia storefront. The average selling price among the top 50 premium App Store applications for iPhone and iPod touch is $1.49. Among the top 30 paid iPad apps, the average price jumps to $4.66. Kevin’s Video Comments on mobile applications for collaboration, knowledge management and human progress. Research in Motion confirmed it will finally unveil its long-awaited BlackBerry OS 6.0 update during the third quarter. Specifics remain scarce but include an improved WebKit-based browser, a customizable homescreen, a revamped media player and a more intuitive user experience. Robust earnings for Research in Motion, growth and solid sales of more than 11 million devices are unlikely to impress analysts. Both are expected, along with further declines in average selling prices, as overseas sales of lower-end devices grow. RIM's share of the more lucrative North American market, meanwhile, is expected to have eroded further as the iPhone and a slew of smartphones that use Google's Android operating system eat into the BlackBerry's market share. Barnes & Noble and Amazon cut the prices of their electronic-book reader tablets. Barnes & Noble dropped the price of its Nook device from $259 to $199 while introducing a WiFi-only model selling for $149. Amazon dropped the Kindle's price from $259 to $189. Kevin’s Video Comments on different mobile application categories. Apple announced that it sold its three millionth iPad™ just 80 days after its introduction in the US. I would invite those interested in enterprise mobility to join the Linkedin Group SAP Enterprise Mobility, http://www.linkedin.com/groups?about=&gid=2823585&trk=anet_ug_grppro. Pyxis Mobile is one of those companies that accomplishes great things, but moves under the radar. Gartner recently highlighted Pyxis Mobile in their Magic Quadrant report so moving under the radar may be over. Pyxis Mobile has over 500,000 mobile clients in the field. Most of their traditional customers are in the financial services industry, but they have been rapidly expanding into higher education, manufacturing and pharmaceuticals. I had the opportunity recently to interview Chris Willis, Pyxis Mobile's EVP of Marketing and Strategy. Chris joined Pyxis in 1998. In 2001 the company became 100% focused on enterprise mobility. Chris what mobile device do you carry? I carry two mobile devices, the iPhone for personal use, and the BlackBerry Bold for professional use. I have always used BlackBerrys professionally and am just used to it. I know how to get what I need from it. I use the iPhone as a large iPod. What is your favorite mobile application? A CRM application built by Pyxis Mobile. It is connected to our expense management system and enables me to complete my expense reports while on the road. On the personal side I love MLB at Bat. When you see MLB at Bat on an iPad it is amazing. It is better than the programs you get at the game. 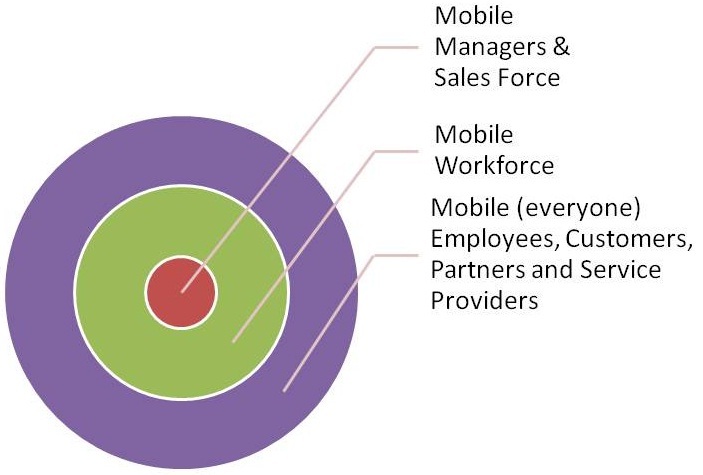 What industries do you see adopting mobility? Financial services is big for us. Seventy percent of our business is still in financial services. We have developed complete trading systems on mobile devices for some customers. Higher education is big for us. We have developed all kinds of mobile applications for universities that show class schedules, grades, etc. Emerging markets for us are in manufacturing and pharmaceuticals. What business processes do you see companies mobilizing first? Sales and field services to start, however, nowadays we are seeing a lot of B2C (business to consumer) application demand. Companies want to give mobile applications to their customers for product sales, branding, marketing and customer support. What are some of the most surprising trends that you saw in mobility over the past 12 months? B2C is the biggest trend - "There's an App for that!" Companies wanting to provide their customers with mobile applications. What do you see happening in the near future, say 2010-2011? Mobility vendors delivering on their promises and filling the missing "app gaps." Companies are now educated on mobility. They are now looking for complete solutions and mobility platforms to execute a full enterprise mobility strategy. Tell me about some of the most interesting mobile applications you have seen in the market. We have developed a mobile laundry application. It is a M2M (machine-to-machine) application. Laundry machines text students in the dorms when there is a machine available and when it is finished. Another application I love is from Concur Mobile. It helps you book travel, manage travel expenses, call taxis and have it all paid for by the credit card they have on file. No cash needed. You can also use it to photograph receipts and turn them in as well. Nice! What are some of the most unusual mobile applications you have seen? There is an application that consists of a website and a mobile application. The website shows a 2D barcode on the screen, and your iPhone captures the barcode and activates various games that use the accelerometer on the iPhone to control various objects in races. Very interesting! When is a consumer oriented mobile device sufficient, and when do you need a ruggedized industrial grade device? Consumer devices (smartphones) are capturing market share from industrial grade mobile handhelds. There is less interest in expensive rugged devices, because the service technician is carrying a smartphone anyway. If you buy expensive rugged devices, they will now have two devices to break. Many companies are simply buying rugged cases for smartphones. What is the most complex mobile application that you have seen? We developed entire mobile trading systems for use by companies in the financial services industry. Very complex! We developed a very sophisticated mobile application for Thomas Reuters that pulled data from dozens of different sources. What are some of the biggest challenges you see in the mobile industry today? Rapid changes to mobile operating systems and new mobile devices. Today Samsung announced a new mobile OS. Today enterprises use the same mobile OS as consumer devices so we need to stay on top of all of them. What do you see from ERP vendors in mobility? All ERPs have to mobilize their solutions. Pyxis Mobile is supporting all the majors, and we believe this is a competitive advantage. What is still missing from MEAPs (mobile enterprise application platforms)? I think MEAP vendors are simply taking different approaches. Some try to be ERP agnostic. Others focused on specific markets. I think the differences will be how effective you are with partners. Are you systems integrator friendly? Pyxis Mobile provides tools for SIs to develop and support new mobile applications. This is important! How important is mobile device management to your customers? It isn't. Our customers don't ask for it. Smartphones and online app stores seem to have resolved many of the earlier issues. Perhaps in the future our customers will ask for it. How is Pyxis Mobile positioned? We are the one mobility platform that enables all of a company's mobility needs including B2B and B2C. We cover mobile enterprise and consumer applications. What are your thoughts on when thick/rich mobile clients are needed and when micro-apps or browser apps are needed? We like rich native apps that optimize what you can do on each OS and mobile device. Do your customers want to develop their own mobile applications using your Application Studio, or do they want you to develop it? About 80% of our customers want us, or one of our systems integrator partners to develop the mobile application for them. They are not experienced, but we are. Thanks for your time Chris!!! I received an email today from a firm that just completed face to face meetings with over 100 SAP customers. In these meetings the SAP customers identified the SAP solutions they would like to learn more about and then prioritized them. The fifth hottest topic among these SAP customers was SAP enterprise mobility. NICE! SAP, systems integrators and enterprise mobility vendors should all take note of this research. 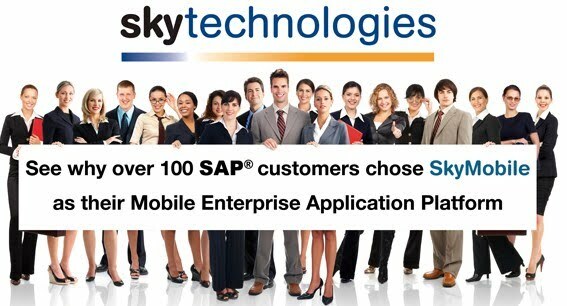 SAP's customers are wanting to learn more about enterprise mobility. SAP's SDN site, this blog, the SAP Enterprise Mobility group on Linkedin, and Kevin's Mobility News Weekly are all sites dedicated to sharing information on enterprise mobility. The new M2M analyst report that I just finished has now been uploaded and is available on the Maximizing Wireless Profits website. M2M, machine-to-machine communications, is a very intriguing market. It is closely related to enterprise mobility in that mobile devices (embedded mobile devices, remote sensors and monitors) are collecting and sending data back to a central server. The audiences for this report are mobile network operators (MNOs), M2M and mobile enterprise software companies. Handset driven customer growth has reached the saturation point in many regions of the world and Mobile Network Operators (MNOs) are looking for new applications, new markets and new technologies for their next phase of growth. Machine to machine (M2M) devices and applications are an area of wireless data usage with a projected compound annual growth rate (CAGR) of over 25% per year through 2014 and a projected need for up to 50 billion M2M devices by 2025. In addition, low churn rates, low acquisition and operational costs, expected long product lifecycles, and a market that needs many additional value added services makes this a compelling market opportunity for many MNOs. Why is the M2M market interesting for enterprises? Nearly all high value assets and equipment that are remote or mobile could benefit from having an embedded mobile device in sensors and monitors that provide information wirelessly back to the asset management and tracking system at the office. Pressure gauges, measurements, volumes, temperatures, operating hours, mileage, etc., can all be collected and wirelessly sent to the central management system. When a piece of remote equipment begins having problems, an alert can be wirelessly sent to the asset management and work order management system so repairs can be scheduled. Maintenance schedules can also be set based upon data collected by remote monitors. 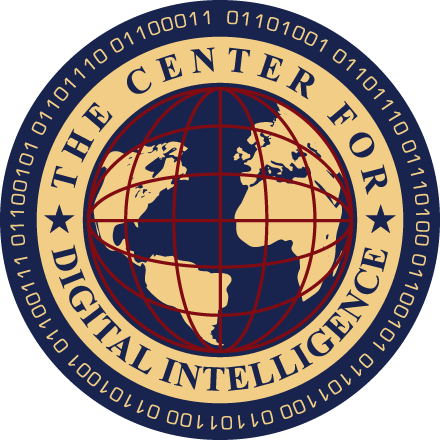 Embedded mobile devices can also be implemented to both send and receive data. Some M2M systems provide the capability for instructions to be sent to remote monitors that will change settings on equipment. I have read about large trucks having their engines adjusted remotely to improve performance or fuel mileage. I believe that mobile enterprise application platforms (MEAPs) may expand to support M2M data integration that will be used by enterprise asset management systems and service optimization solutions like SAP's mobility partner ClickSoftware at some point. The data, whether coming from a smartphone or a remote sensor, looks the same to the platform. It is just data coming in wirelessly to the system. There are some very interesting M2M companies like Enfora that are offering a wide range of specialized M2M devices, services and systems. Enfora is a provider of wireless networking solutions that enable enterprises to access, analyze and leverage information from their geographically dispersed assets. It is interesting to read about how their solutions are being implemented and the ROIs their customers are experiencing. If you are reading this you have stumbled upon the premier edition of "Kevin's Mobility News Weekly." This is an online newsletter that is made up of the most interesting news and articles related to enterprise mobility that I run across each week. I will aggregate the information, include the original links and add a synopsis of each article. I will also be searching for the latest market numbers such as market size, growth and trends in and around enterprise mobility. In April Nokia announced it had increased its smartphone market share to 41 percent, up from an estimated 40 percent in Oct.-Dec. last year. That means Nokia sold roughly 21.5 million of the 52.6 million smartphones sold globally during the first quarter. According to Quantcast, Android currently accounts for 19.9 percent of the smartphone market, a rise of 12.2% over the year. Although it's still the single biggest player in the market, the share of Apple's iPhone OS has shrunk by 8.1 percent. The data shows that Research In Motion's BlackBerry OS and other platforms in the operating system market have shrunk by 1.2% and 2.9% respectively. Devices featuring Apple's iOS mobile operating system lead all other mobile devices with 58.8 percent of mobile Web traffic in the U.S. Android is far behind, but still in second place with 19.9 percent. Next is "other" with 10.9 percent, and after that is Research In Motion with 10.4 percent, according to data released by Quantcast on Monday. Apple dominates the market for music and mobile apps. However, its share of the global cellphone market is less than 2%, and it still has only a 15% share of the smartphone market. Apple shares rose nearly 3 percent on Wednesday after it announced sales of more than 600,000 iPhone 4s, a record for just a single day of pre-orders. That put the device on track to surpass sales of its previous iPhone models as well as its iPad tablet computer and sounded a strong challenge to rivals like Nokia Corp., which warned of weaker-than-expected sales at its phones unit. Nelsen projects that by fall 2011 smartphones will overtake ordinary cellphones in market share. The smartphone market continues to see impressive growth around the world and in the Asia Pacific (APAC) region particularly. Shipments in the region are expected to grow 53% year-on-year in 2010 to reach 76.7 million units and are projected to easily surpass 100 million units in 2011. In 2009 smartphones accounted for 11% of mobile phone shipments in APAC. This percentage is expected to grow steadily, and in 2012 Canalys expects that 20% of mobile phone shipments in the region will be smartphones. ClickSoftware Technologies Ltd. unveiled a major upgrade to its Mobility Suite at the Gartner Wireless, Networking and Communications Summit in San Diego. The solution is specifically designed for service businesses. Forrester Research is already predicting tablet sales in the U.S. will overtake netbook sales by 2012, and desktop sales by 2015. The BlackBerry operating system now accounts for 19.4 percent of the worldwide smartphone market, with sales of 10.5 million units in Q1, according to research firm Gartner. BlackBerry trails Symbian (24.0 million units in Q1/44.3 percent market share) but still leads Apple's iPhone (8.3 million units/15.4 percent share) and Google's Android (5.2 million units/9.6 percent share). However, consumer interest in BlackBerry appears to be waning. A recent Crowd Science survey reports that 39 percent of BlackBerry users would prefer an iPhone as their next purchase and 34 percent said they would favor an Android device. Often the IT department finds itself being pressured to support mobile devices and mobile applications that are already in use by employees. All of these issues point to the need to implement and use a mobile device management system. TOKYO-Toshiba Corporation (TOKYO: 6502) today announced the launch of a 128-gigabyte (GB) embedded NAND flash memory module, the highest capacity yet achieved in the industry. The module is fully compliant with the latest e•MMC standard, and is designed for application in a wide range of digital consumer products, including smartphones, tablet PCs and digital video cameras. Samples will be available from September, and mass production will start in the fourth quarter (October to December) of 2010. Location services are the latest social media fad, allowing users with smartphones to "check in" to local businesses for points and fun. Twitter jumped on board location services Monday, launching Twitter Places. There are all sorts of mobile phones out there, but the EPI Life is possibly the only handset that can save your life. Designed by Singapore company Ephone International, the EPI Life stands out with a built-in electrocardiogram measurement function linked to a 24-hour health concierge service. It takes 30 seconds to complete a reading, which can be sent back to the firm via GPRS anywhere in the world. Facebook is expected to announce its own location-based service in the coming months, which brings location-based services to more than 400 million users. In other words, location-based networks are only going to get bigger. While Apple has reached its 10,000th iPad application, Google's Android market has increased to about 72,000 total applications. Moreover, the 10,000th iPad application is a fraction of the total number of applications available for Apple's iPad and iPhone, which is more than 200,000 as of Memorial Day last month. According to Apple CEO Steve Jobs, Apple receives more than 15,000 new application submissions each week. Experts say that if Jobs’s figures are accurate, the company is generating every month about four times the amount of applications over Android. On the other hand, Google records show 14,294 new applications in May 2010 compared to 1,669 in July 2009. In the market for an engagement ring? Forget the usual brick-and-mortar browsing — head to your iPhone's app store and download Tiffany and Co.'s free Engagement Ring Finder. This is truly an iPhone application that you should only use 4 or 5 times. Twitter is also generating high volumes of traffic. In 2007 users were tweeting 5,000 times a day, and by 2008 the number had increased to 300,000, reaching 2.5 million per day in January 2009. One year later, in January 2010, the figure had risen to 50 million tweets per day, climbing to 55 million in April 2010. There are 600 million search queries on Twitter per day, which bodes well for the Promoted Tweets sponsored keyword search advertising program. Global consumer electronics major Samsung unveiled its new smartphone platform 'bada' for developing next-generation mobile applications. "Bada, meaning 'ocean' in Korean, will be a driving force in accomplishing our vision of a smart phone for everyone," Samsung president JS Shin said in a statement in Bangalore on Wednesday. Kevin's winner for the best enterprise mobility video on YouTube - Leapfactor. I would invite everyone that is interested in enterprise mobility to join the Linkedin Group called SAP Enterprise Mobility. It is easy to forget about the world beyond the pocket, but it remains out there. There is a large market for mobile devices that must survive the rigors of rain, sand, mud and daily impacts. In the field service automation space, these working environments are the norm. SAP mobility partner ClickSoftware focuses on this area of enterprise mobility, and this means they add features to their mobility suite that others don't. I had the opportunity to interview Gil Bouhnick from ClickSoftware a few months ago, and he shared that one of their recent projects included building union regulations and rules into the mobile application. Before certain tasks could be requested or started the union rules were considered in the mobile application. How many iPhone and BlackBerry applications have these requirements? Because ClickSoftware focuses on rugged environments where the field service technician, lineman, or inspector may be working in solitary and remote locations, features have been added to their solutions that would alert the office in case of an emergency. Again, not many BlackBerry or iPhone applications have that requirement. I have worked on many mobile forms projects in my time, so I appreciate that ClickSoftware has the solution ClickMobile Forms Editor. Mobile forms may seem like a rather simple applications these days, but they can be of enormous value. Let me explain. Mobile forms applications can have branching workflows in them. If an inspection reveals a measurement is XYZ, then it automatically jumps to mobile form page 16 where additional questions are asked. If the measurement was ABC, then it automatically continues to form page 2. These types of automated mobile forms and their workflows can direct the mobile workforce to complete the field data collection task completely and accurately the first time. Enterprise asset management, field services and inspection services all require extensive field inspection work that can benefit from mobile forms that wireless synchronize with the office. I just completed a 40 page analyst report on the M2M industry last week. It is a fascinating market, but I am relieved it is finished. Analyst reports are like taking a four week final exam at the university. If you are interested in the M2M (machine-to-machine) or embedded mobile devices market for consumer electronics, you may want to watch this short video that I recorded on the consumer electronics segment of M2M. I am now working on an executive workshop to help companies understand M2M and the value for remote asset management. Contact me if you would like to discuss! One of the things I am watching closely these days is to see if enterprise mobility vendors will add M2M data management to their offerings, or whether they will limit their support to smartphones and mobile computers. What makes this interesting is that M2M/embedded mobile devices are sending mobile data to servers that are increasingly useful and valuable to ERPs (see attached image from http://www.m2mexpo.com/). Where will the line be drawn between mobile enterprise applications and data from embedded mobile devices. One is data from a human, and the other is data sent wirelessly from a machine. It will be fun to watch! Usman Sheikh is VP of SAP's EcoHub, and I had the opportunity at Sapphire this year to interview him about SAP's ecosystem of mobility partners. Have I considered all relevant solutions? Are there success stories in my industry? Is this partner solution certified? What are my peers saying? For more interviews in the Mobile Expert Video Series click here. At Sapphire this year I was able to interview Rich Padula, Syclo's CEO. I asked him to explain the "co-innovation" partnership program with SAP and what it really means. Syclo's mobile solutions include pre-packaged and pre-integrated applications that mobilize CRM, ERP and EAM systems to improve communications and data capture. Mobility is a way of getting more value out of your existing SAP investment by making it available to those in the mobile workforce. Mobility can enable business process re-engineering by compressing the time of some business processes from days to hours. Extending SAP mobility into the hands of those not at their desk, can increase productivity for many users. Vivido Labs describes themselves as leaders in smartphone enterprise mobility with their Mowego mobile platform and their portfolio of mobile enterprise business applications. For more videos interviews from the Mobile Expert Video Series click here. I was lucky enough to be able to sit down with SAP's VP of Enterprise Mobility, Prashant Chatterjee at Sapphire this year and record an interview. In this interview Prashant describes how enterprise mobility is key to SAP reaching 1 billion users by 2014. For more videos in this Mobile Expert Video series click here. Outside of SAP's SDN site, the SAP Enterprise Mobility group on Linkedin has some of the smartest people in the world sharing their thoughts on enterprise mobility. The membership includes the thought leaders from just about all of the big enterprise mobility vendors. I was reading through some of the discussions today and the comments included in-depth advice from SAP on architecting mobile applications and understanding what mobility platforms are needed in different situations. If you or anyone in your company is interested in subjects related to enterprise mobility I would encourage you to join. Here is the link. Dan Homrich, Smartsoft Mobile Solution's CEO likes to talk about mobile B2E (business-to-everyone) solutions for smartphones. These are mobile applications that companies provide to their customers, partners and service providers. Mobile B2E solutions are intended to address large markets. Insurance companies can provide mobile solutions to their customer bases. Banks and retail companies can provide mobile applications to their hundreds of thousands of customers. This is a very interesting target market. Watch the video interview that I recorded with Dan Homrich at Sapphire and learn about his strategies. I am a big believer in the saying "content is king!" So when I read recently that Open Text announced they were going to mobilize their enterprise content management products with a solution called Open Text Everywhere, I was intrigued but skeptical. Open Text provides powerful enterprise content management solutions, the SAP Invoice Management solution, and collaboration and social networking tools for the enterprise, but now mobile solutions as well? At Sapphire I was able to schedule a video interview with Open Text's VP SAP Solutions Group, Patrick Barnert. One of the first questions I asked Patrick was, "Are you serious or just playing around with mobility?" You can watch and hear his response here. I appreciate mobile applications that add value in unique and powerful ways. The accounts payable processes in large enterprises is a very important area. Companies can save millions by processing invoices quickly and capturing early payment discounts from suppliers. The ability of a manager to approve an invoice while traveling so the company can capture these discounts can provide millions of dollars in savings with the push of a button on a mobile smartphone application. I like mobile applications with that kind of ROI! Open Text is developing that mobility solution now for SAP Invoice Management. I was able to meet up with Sky Technologies' CTO, Steve Ware, at Sapphire a few weeks ago and unfortunately for him I had a digital video camera in my hands. SAP had provided us SAP Mentors with very small Flip digital video cameras, and I recorded his views on MEAPs (mobile enterprise application platforms). Sprint's new HTC 1GHz EVO- 4G smart-phone enables true multi-tasking while on the move. Road warriors can now view documents and files while simultaneously having a conversation with a colleague on the phone. With the large HTC 4-3 inch touch screen and superfast processing power, the HTC is aimed at customers who have serious mobile business requirements. The HTC EVO 4G boasts thousands of Android-driven mobile applications, with many geared toward businesses across a variety of industries. Sky Technologies is a mobile applications company specializing in extending all varieties of business applications to any mobile platform. They have 12 years of experience in the enterprise space.